Nimal Wijesinghe-Anuradhapura Additional District Group Corr. 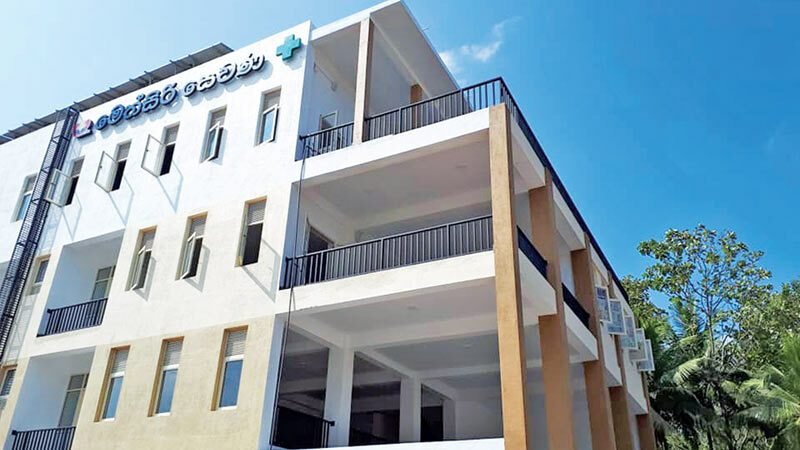 The four-storey Methsiri Sevana welfare centre for kidney patients in Rajarata, which was built at a cost of Rs. 200 million by the Presidential Task Force on Prevention of Chronic Kidney Disease will be opened today by President Maithripala Sirisena. The building complex contains 30 rooms for patients who visit the Anuradhapura Teaching Hospital. It also contains a kidney disease research unit, an auditorium, two dormitories, consultation rooms and a cafeteria. North Central Provincial Health Services Director Dr. Palitha Bandara told the Daily News that the Army with the assistance of the Sri Lanka Navy and Air Force constructed of the building complex under the supervision the North Central Provincial Council Engineering Unit. “Another two-storey kidney patients’ welfare centre is being built in Kandy at a cost of Rs. 30 million,” Presidential Task Force on Prevention of Chronic Kidney Disease Director Asela Iddhawela told the Daily News. “It contains 20 rooms for kidney patients and two dormitories. Dr. Iddhawela said that a welfare information centre is being constructed at Girandurukotte. Nearly 50,000 kidney patients have registered in 13 districts - Anuradhapura, Polonnaruwa, Badulla, Kurunegala, Vavuniya, Ampara, Trincomalee, Monaragala, Puttalam, Hambanthota, Mullaitivu and Mannar. He requested the public to contribute to the National Kidney Fund through the Neeroga lottery and the account at BoC.